When will be Tattoo Girls next episode air date? Is Tattoo Girls renewed or cancelled? Where to countdown Tattoo Girls air dates? Is Tattoo Girls worth watching? Tattoo Girls is set against the backdrop of Ink Ink, a tattoo shop like no other - it is owned and operated by young entrepreneur Kelsey and employs an all-female lineup of tattoo artists. Based in Springfield, Missouri, Kelsey set out to make her shop feel different from the usual masculine, sometimes intimidating traditional ones. She employs her longtime friends Megan and Nikki who are also tattoo artists and Brittany who does all the piercings. The series will explore the friendships and working relationships between all of them as they navigate everyday life. Nikki and Megan give a cold welcome to new artist. Kelsey tries to maintain peace in the shop, while struggling to care for her father. Nikki's fears come to light when a client gets stolen right out from under her nose. Liz's client struggles to get through a shocking face tattoo. Kelsey closes the shop for a day on the river to ease the tension between the girls, but things backfire when Liz questions coming to Springfield and Nikki angrily confronts Kelsey. A local chick shaves it off for a head tattoo. When her father stops by, Kelsey has an emotional breakdown. Nikki reunites with the one that got away and Brittany does a gory piercing. The girls of Ink Ink stick together as a family. 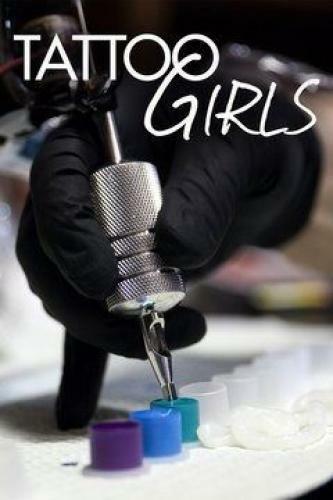 Tattoo Girls next episode air date provides TVMaze for you. EpisoDate.com is your TV show guide to Countdown Tattoo Girls Episode Air Dates and to stay in touch with Tattoo Girls next episode Air Date and your others favorite TV Shows. Add the shows you like to a "Watchlist" and let the site take it from there.